A young Maghera family who recently lost their mum to cancer has spoken of the great comfort the family received at Charis Cancer Care. Mum of three, Frances McCabe, was among the 6,000 people who regularly used Charis Cancer Care since the centre opened eight years ago. Her son Cahir and two daughters, Aoife and Roisin, visited the centre last month to help the Charis team kick off fundraising efforts to secure finance for recently approved expansion plans. 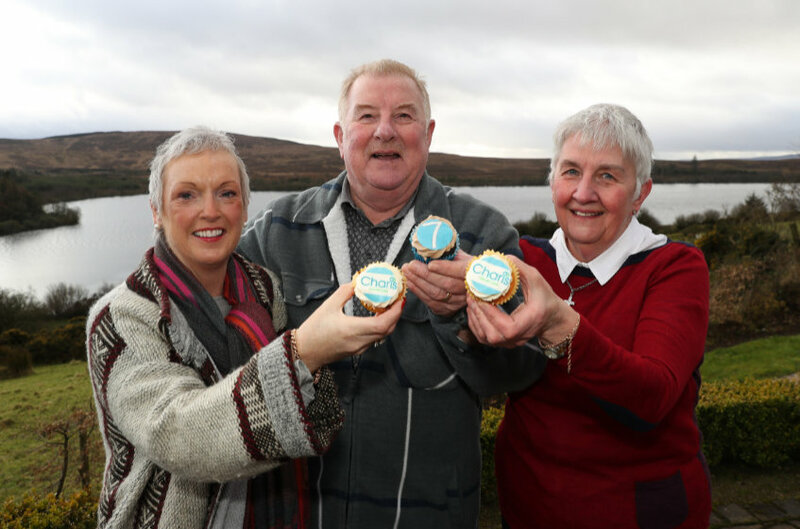 The charity which supports people in Northern Ireland affected by cancer will almost double the size of its centre as it aims to offer greater numbers of cancer patients and those impacted by cancer, complementary support and therapies. Since losing their mum, the young McCabe family have found peace at Charis House and are firm believers that Charis is one of Northern Ireland’s hidden gems for people who find themselves on this journey. Cahir says: “Mum was first diagnosed with cancer in May 2016. She used a number of the services on offer at Charis. My dad had passed away a number of years ago. I was at Ulster University (Magee) and my sisters were both at school at the time. It was reassuring to know that my mum and friends could come here and enjoy the services. We knew it was her time, that she could relax and that she was in good hands”. The late Frances McCabe (left) with Leslie and Moyra Lee during one of her many visits to Charis.